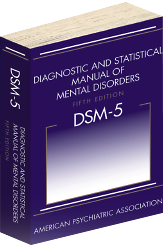 The psychiatric community has been preparing for the 2013 release of the Diagnostic and Statistical Manual of Mental Disorders, Fifth Edition (DSM-5) by the American Psychiatric Association for years. Each new edition of the manual reflects changing conceptions of illnesses and their diagnosis and treatment. Tom Insel, the director of the National Institute of Mental Health (NIMH), the largest research organization in the world devoted to the understanding and treatment of mental disorders, caused a stir this past spring when he wrote in a blog post that the DSM-5 lacks validity and that patients deserve better. The DSM-5 guidelines for diagnosis of mental disorders rely on descriptions of clusters of symptoms, and Insel suggested that new methods of diagnosis that rely on laboratory measure should be developed. The NIMH is launching a project called Research Domain Criteria (RDoC) to incorporate genetics, imaging, and other data in a new classification system for illnesses, and is re-orienting their funding toward projects that “look across current categories,” for example by including all patients in a mood disorder clinic rather than only those who meet DSM-5 criteria for major depressive disorder. A major concern about this change at the NIMH, which funds much of the research that leads to Federal Drug Administration-approved treatments, is that it will diminish funding for treatment studies in specific diagnostic categories where research is already sparse, such as childhood onset bipolar illness. This may leave many children and adults without a sound evidence base upon which their doctors can base treatment decisions. Under the NIMH’s new rubric, clinical treatment studies to collect comparative data and evidence-based treatment research would likely lose out to studies focused on the broad collection and identification of biomarkers and the pursuit of new treatment targets. Answering an important clinical question such as whether symptoms of childhood onset bipolar disorder respond to the same medications as oppositional defiant disorder (ODD) or disruptive mood dysregulation disorder (DMDD) might not be a high priority for study. David Kupfer, chair of the APA’s DSM-5 Task Force, responded to Insel’s statement saying that while it would be great to identify biomarkers and genetic indicators for mental illnesses, “this promise, which we have anticipated since the 1970s, remains disappointingly distant.” Insel acknowledged in his statement that this is only the beginning of development of research domain criteria, and that “for the present” the DSM will continue to be used.